Chobham Golf Club is a traditional private members club offering the combined benefits of a superbly designed course, excellent clubhouse facilities and experienced management in a stunningly beautiful location. 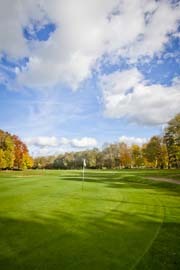 Our 18 hole, par 69 course was designed by Peter Alliss and Clive Clark. The course has been designed and built to international championship standards, challenging the skills of low and high handicap players alike. Quietly situated on the Chobham Road between Knaphill and the picturesque village of Chobham, just a few minutes drive from Woking, Guildford, Farnborough, Bracknell, Camberley and Staines. Access to M3 motorway at junction 3 is only three miles distance and London is some 20 minutes away. We welcome visitor golfers 7 days a week, subject to tee time availability.